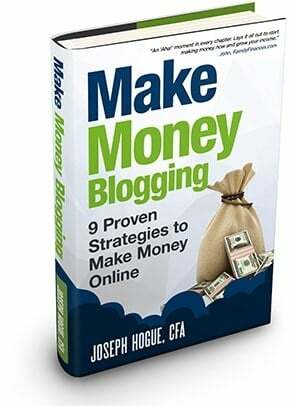 Blogging and making money online can be frustrating, like water-torture frustrating. I didn’t make anything on my blogs for five months after starting. While I ramped up to over $1,000 a month quickly, it was on the back of a lot of work. It’s a legit strategy and one I’ve used before, not just as a new blogger but when I could get a good deal on a great site. This is going to be the first in a two-part series. First we’ll cover how to buy a website, the pros and cons as well as how to know how much a website is worth. Next week, I’ll take you through the steps to sell a website and making sure you get the best deal possible. Buy vs Start a Website? Should you buy a website though or start your own site? It costs almost nothing to start a blog, less than $5 a month for hosting on Blue Host and maybe another $20 monthly for a few plugins and tools. Let’s look at the pros and cons of buying a website to help you make the decision. The advantage of buying a website rather than starting a new one is obviously that you get started with immediate traffic and income. Watching your traffic stats inch up can be excruciating for new bloggers. You’re working hours to produce great information and all you hear is crickets chirping because nobody knows about your blog. It took six months to make any money on my websites (yay! $60 in April!) and nine months to start getting more than 10,000 visitors a month. 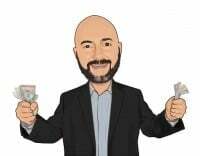 On the other hand, if you were to buy my websites (sorry, not for sale), you would be starting with over 60,000 visitors a month and about $7,000 in income. Another advantage of buying a website is that you can generally get these digital assets for extremely cheap compared to buying other types of businesses. We’ll talk more about how much to pay for a website later, but you can usually get a legitimate site for between 20- and 35-times the monthly profit. That’s monthly profit, not monthly income. 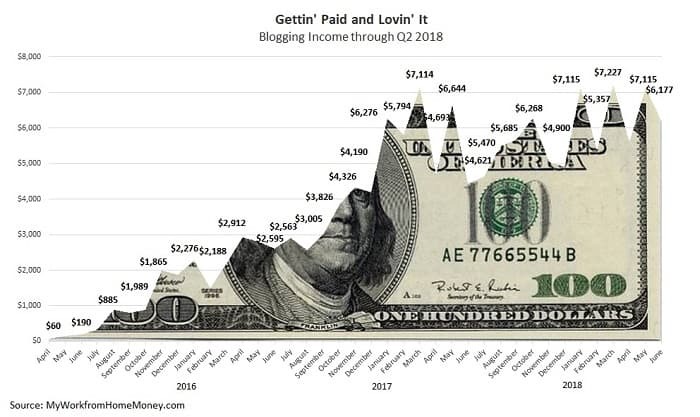 So you can buy a blog averaging $1,000 in profit every month for about $24,000 and have a piece of digital real estate that will cash flow for decades. There are a few cons to buying a website, both in terms of getting started as a new blogger as well as for established bloggers. The most obvious problem buying a website is that people have come to expect the personality of the existing blogger and the themes on the site. There are millions of blogs in every niche and the only thing that makes each different is the personality of the blogger. Will visitors and subscribers like the new personality of the site as much as they liked the old? That change in personality, writing style and even in how the blog is promoted usually leads to a decline in traffic after the change in ownership. You might be able to get back to traffic growth quickly on posting more often or through SEO changes but expect traffic to struggle those first couple of months. This makes it critical, when you’re looking at websites to buy, to look at how much the blogger’s personality comes through in their writing. Is it a strong personality that is attracting loyal visitors and will you be able to replicate that personality? Another con to buying a website is you don’t learn the challenges of creating and building a new blog. 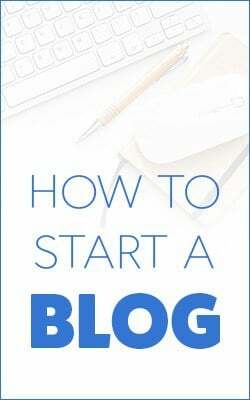 Despite all the frustration in growing a blog from scratch, you’ll learn a library-worth of knowledge in that first year about business and online promotion. Buying a successful blog might lead to a rude awakening when you realize you don’t know how to manage the website. You also don’t get that pride of ownership in the success of a blog you grew from scratch when you buy a site. Our last disadvantage of buying a website is that existing income doesn’t necessarily mean you’ll make money. You’ll be paying up to two or three years’ worth of profits for the blog so that means you need to find a way to grow it and keep it going to make it a good deal. Not all blogging income is created equal either. Blogging income based on sponsored posts means you’ll have to continue reaching out to sponsors to keep that money coming in. This is also true of ad revenue. Income based on affiliates is slightly more stable but you’ll still need to put in the work to keep your blog alive. The majority of website deals happen through organized platforms set up to connect buyers and sellers. Think of these like the eBay of buying a website. Most sales happen through an auction process where the seller lists a minimum acceptable offer and buyers bid on the site over a few weeks. Flippa promotes itself as the #1 platform to buy or sell a website with 30,000 transactions every year. The website takes an initial listing fee from $9 to $29 and then takes up to 15% of the purchase price as a commission. The process is easy to use and you can set up an escrow through the website. This is the best part of using a formal platform to buy or sell a website, getting that peace of mind through the escrow. I’ve used Flippa once to sell a site. Flippa is one of the most well-known platforms to buy a website so you’ll always find a good selection of sites to sell. A lot of these will be starter sites that someone has set up for the sole purpose of selling it. I’d steer clear of these as there is still a lot of work to do in building readership and search rankings. Look for established sites instead that have steady traffic from Google and consistent income. Empire Flippers is a website broker rather than an auction marketplace. That means they take an active role in selling sites so the process is different than you’ll find on Flippa. Sellers offer their website for sale, paying a $297 refundable listing fee, and the platform decides whether to list the site. The platform determines an asking price for the site based on monthly income. If the site is sold, Empire Flippers helps with the transfer and takes a 15% commission from the purchase price. Empire Flippers lists basic site data like niche and income but not specific URL or stats. To see any specific stats, potential buyers have to wire a 5% refundable deposit to the platform. I think that limits the number of buyers on the platform but gives them an incentive to complete a purchase. The website marketplaces make it easy to find sites to buy but as with any investment, your best deals are going to be when you go directly to the seller outside the market. Finding someone willing to sell their website directly will save you that 15% marketplace commission and you might get a better deal on the price. The first thing any blogger needs to do is find a community of bloggers within the niche. These groups will be your best support and source for advice. You’ll also be the first to hear about it when someone is thinking about selling their website. Since these are all legitimate bloggers, you’ll have the confidence that the website has some quality traffic and sustainable growth. Look for Facebook groups for niche bloggers and annual conferences around the group. For example, when I bought a Dating & Relationship Advice blog in 2015, it was from an established blogger I knew from a financial bloggers’ group. I knew the blogger had legitimately tried making the website successful. I was able to use SEO tools like Ahrefs to see that he had built a solid link profile to the site and had the confidence that I was buying a good domain. Another great resource for finding websites to buy is through niche blogger lists. 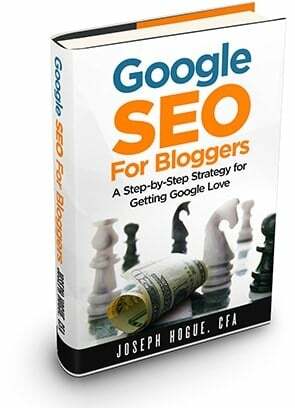 Do a Google search for blogger list plus the website topic. You’re not looking for short lists of the top bloggers but larger lists ranking hundreds of sites. Next you’ll work through the list from the bottom, contacting each to see if the site is for sale. It’s not to say you won’t find sites at the top of the list for sale but expect to pay six- or seven-figures rather than the few thousand you might pay for a smaller site. Just as blogger communities make for good resources, you can also use online forums to find sites for sale. It might be more difficult to keep track of the community on a message board, but some forums will have a specific section for buying or selling a website. Any website can be a good investment for the right price…but how do you find that price? I’ve bought and sold three websites and have helped other bloggers when buying sites. That average of between 20- to 35-times monthly profit is an accepted statistic but it leaves a lot of room for negotiation. There are a couple of things to remember when you offer to buy a website, ideas that will help you get a fair price and make a profit on your new site. Understand that a lot of income sources are difficult or even impossible to verify. This means there’s a risk that the owner is inflating the blog income to get a better price. Verify site traffic through access to Google Analytics and Search Console. As a blogger, you’ll get an idea for how much a site will make from different income sources by traffic. Ask to verify sponsored posts over the last three- to six-months with the sponsor. Ask to see any reports from affiliate networks to verify affiliate commission. Ask for a detailed list of expenses to running the blog including plugins used. You’ll also want to estimate how much it will cost you to run the site including any social media tools you use or freelancer costs. Remember, the price you pay to buy a website is based on profit…not revenue. It isn’t the total amount the blogger makes from all sources, but the monthly amount left over after they pay all expenses to run the website. Take a six-month average of this profit to apply your purchase-price multiple. Even if you are able to verify the income reported from each source, the income source and percentage of total blog income will determine whether you pay 20-times the average or a higher amount. Affiliate income is generally the best quality and most valuable because it’s tied to search traffic to a few top posts. As long as nothing changes with these posts, i.e. inbound links or content, then they should continue to produce affiliate sales. Advertising is also a quality income source because it’s tied to traffic and doesn’t take active management every month to produce. Make sure you check the trend in monthly traffic from Google and other sources to see that it’s stable or growing. Sponsored Posts are a popular source of blogger income but not as valuable in a sale. You’ll continue to get offers from sponsors, but the existing blogger might be actively reaching out to produce the monthly income. At minimum, you should ask for a complete list of all sponsors over the last year so you can contact them for future posts. Printables are a great source of income for bloggers though most don’t take full advantage of the resource. They’re generally a valuable source of income in a sale because they’ll continue to produce sales. Book Sales might be indirectly related to the website but make most of their income from off-site platforms like Amazon. If the book is included with the website sale, is the author doing any other marketing to produce monthly sales? Speaking and Consulting shouldn’t generally be used when calculating a fair price for a website. Income from these sources is almost completely tied to the seller so you’ll have a hard time reproducing the sales. Traffic sources are also an important part of determining a fair price for a website. Traffic from Google and other search platforms is the most stable. Follow the blogger on social media to see how they are producing traffic from social platforms and whether you can replicate it. A fair price for a website is going to depend on how much profit you can squeeze out of the site after expenses and the times-profit on monthly income. 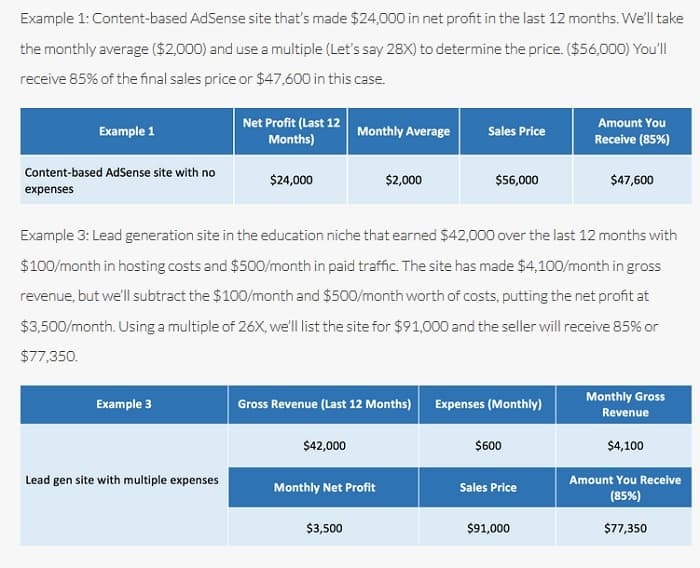 For a website with mostly advertising and affiliate income, a fair price might be closer to 30-times profit versus a 20-times multiplier for a site with less consistent traffic and sales from sponsored posts. Of course, there’s a difference between a fair price and getting a good price as a website buyer. You can use some of the ideas above to negotiate for a lower price on the website. Create a spreadsheet list of sites sold on Flippa including sales price, average monthly traffic, site age and income percentages from different sources. You might also add the domain authority, a measure of search rankings, to compare sites. Compare this list with the website you want to buy. Use the points above to argue for a lower price based on inconsistent traffic, lower domain authority and income sources. I bought the Dating website for $500 in 2015 for less than 10-times monthly profit because the blogger wasn’t interested in keeping it up anymore. I knew that I could boost traffic with regular posts and some SEO work and increase income by adding printables. I was able to increase income to over $350 a month and sold the site for $5,000 less than nine months later. Here are a couple of examples on how much to pay for a website from the Empire Flippers’ platform. The process you use to buy a website is where you’ll either make money or set yourself up to overpay. Follow these steps and don’t neglect any to make sure you get the best deal on a site. First is getting access to the website’s Google Analytics and Search Console data to confirm traffic. The website owner can give you access to view these without access to changing anything on the website or data. For Analytics, click on Admin in the left-side menu and then User Management under the website property. You can add a user here and give them permission only to Read & Analyze the website data. With access to Google Analytics and Search Console, you can check the consistency and stability of traffic sources. Are there any big jumps in traffic over the last year? What has been the trend over the period? Big spikes might be a sign of paid promotion or getting shared by a bigger blog, neither of which is repeatable traffic. Where is the traffic coming from; search, social media, other blogs, etcetera? Where is the traffic going to, a few posts or spread across many posts? Once you’ve checked traffic then you can start checking income sources off that traffic. Ask for any reports or contacts necessary to verify monthly income. This means printouts of Google Adsense or other ad networks, sponsor lists and affiliate commissions. Determine how much you’re willing to pay for the website. How much is the income worth and what will your monthly profit be after expenses? Can you quickly increase traffic and income? This doesn’t mean you should pay more for a website but it might be worth more to you if you can turn it into a quick profit. What’s your negotiation strategy? What will be your initial offer price? What points are you going to negotiate on, i.e. income and traffic sources? What’s the highest amount you’ll pay? Once all this is done, you can start negotiation with the seller. Be firm in your negotiation but understand that the blogger put a lot of time and effort into this site. Don’t act like you’re doing them a favor by taking the site off their hands. Tell them you want everyone to get a fair deal and you appreciate all the work they put into the website. Contracts don’t need to be full of legal language but do need to spell out everything that will be included in the sale and every step that must be included to close out the contract. You’ll also need to decide if the blogger will provide any services to transition the blog like writing a few posts after the sale or will inform subscribers of the sale. With the contract signed by both parties, you can deposit funds with an escrow service. 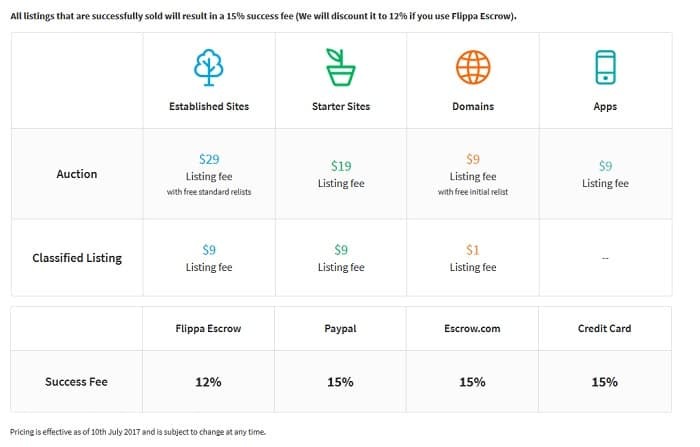 Some platforms like Flippa provide these or you can use Escrow.com which charges a 2% fee for the service. This is another step you’ll be tempted to neglect and just transfer the money to the seller…don’t do it! Split the fee to go through an escrow service that will hold the money until both parties agree that everything has been completed. Transferring the domain and website is an easy and quick process. It doesn’t necessarily take a technical person, but I’ve always used a trusted tech developer to do the work for me. It generally costs around $150 and you don’t have to worry about it. The work takes just a few hours but it will take about a week for the transfer to be official. While you’re waiting for the domain transfer to be completed through registration and hosting services, you can arrange to be introduced to any freelancers or contacts by email. After the domain is officially transferred, you can release the funds in escrow and get busy working on your new website! Should You Buy a Blog? Despite the advantage of buying a website for new bloggers, I would usually recommend you get started with a new site. That doesn’t mean you shouldn’t buy websites later to either manage as a separate site or fold into your existing blog, but I think creating and developing that raw piece of digital real estate is a huge learning experience everyone needs. After creating your first blog and feeling that frustration that drives all new bloggers to learn everything they can about being successful online, feel free to look to other websites to buy or for partnerships. I’ve bought and sold sites and have made money on each. 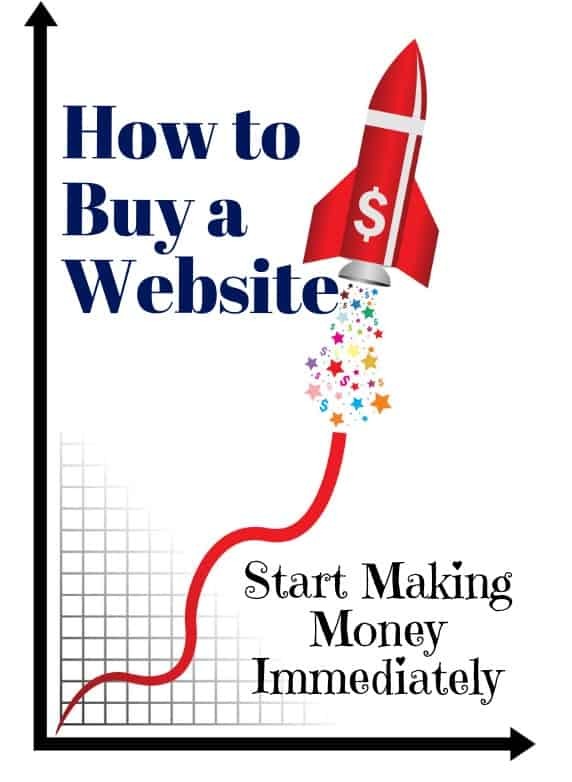 Knowing how to buy a website will set you up to make money and get the best deal possible. As in any business deal, don’t be afraid to walk away if you can’t get a good price. More than 9-in-10 bloggers quit before the end of their first year which means there are always legit blogs to buy and deals to be had.